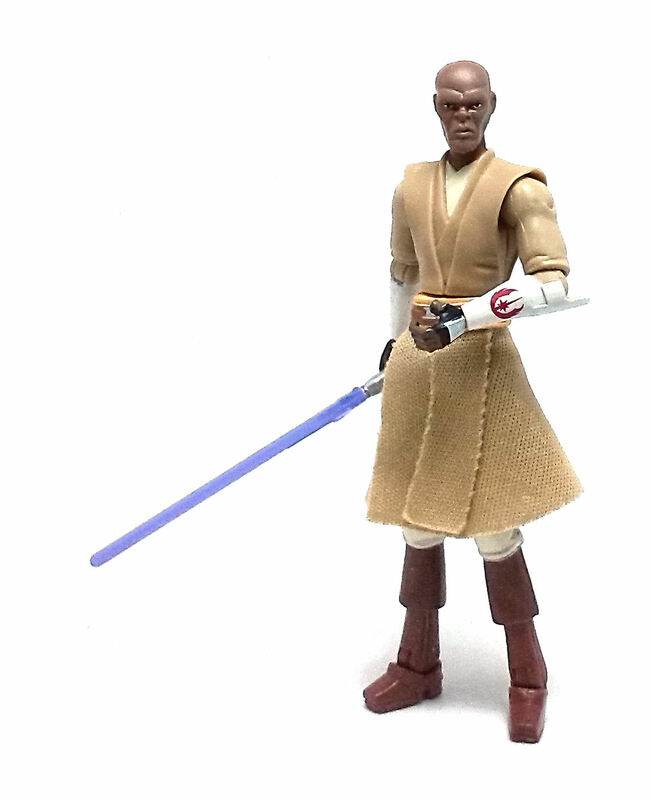 On one of my trips downtown to the Store with the Forgotten Toys, I found this figure of Jedi Master Mace Windu (CW20), released a couple of years ago in Hasbro’s Clone Wars line. 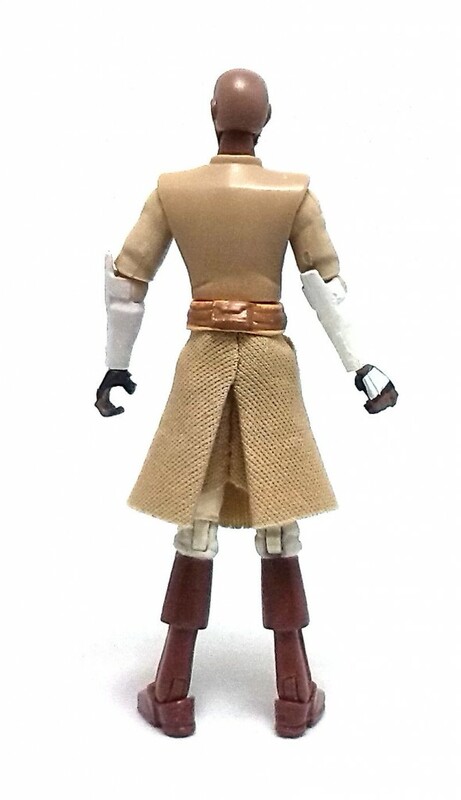 This figure represents the character as he appeared on most of the episodes from the TV series, wearing the traditional Jedi garments with clone trooper bracers and gauntlets. 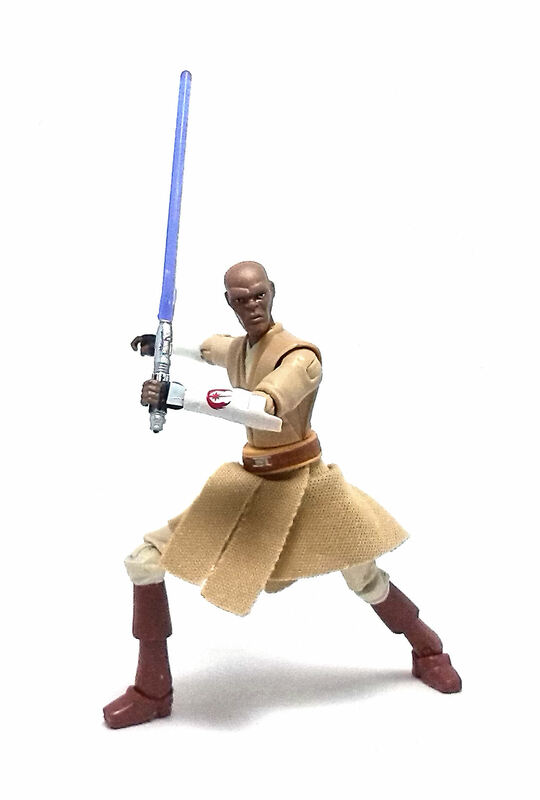 Hasbro did release a version of Mace wearing a similar outfit early in the line as part of the Season 1 assortment, but even though the one I am reviewing today comes from Season 2, it took much longer to produce, as this version of Mace came in the Shadows of the Dark Side packaging nearly at the end of the line. The sculpture on the more recent Mace figure is much closer to the digital animation model and incorporates small fabric pieces to simulate the lower edges of the tunic. 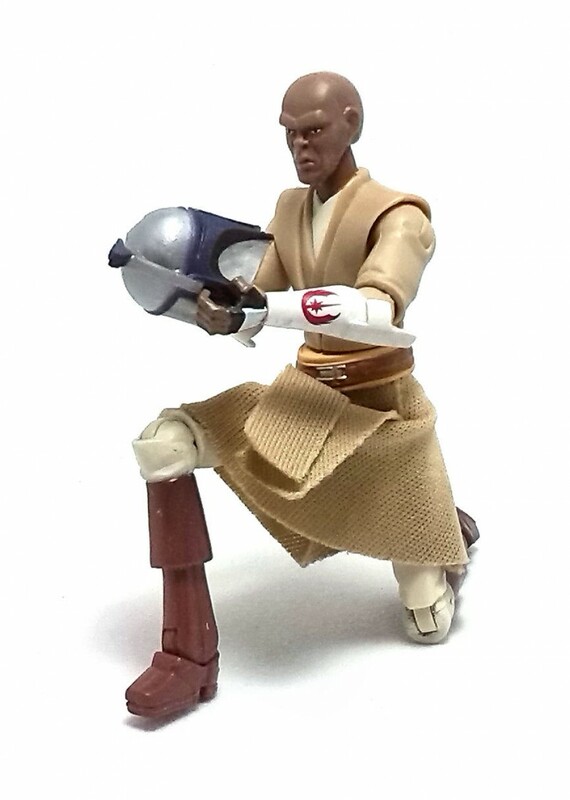 Like most of these clone Wars characters, Mace is rather lightweight, but the joints are sturdy enough to hold most poses and they all have very ample range of movement. The paintjob on my figure is very good, although on the simpler side of things. All of the decorations are neatly applied and the Republic crest on the left bracer looks quite sharp. 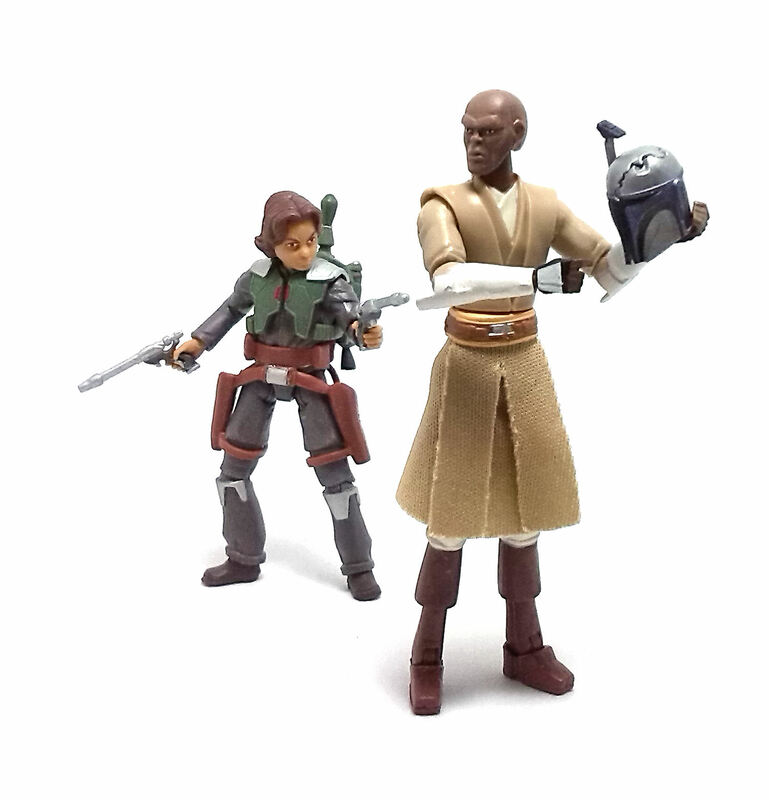 Clone Wars Mace comes armed with his characteristic purple-bladed lightsaber and also included is a mandalorian helmet decorated with the colors favored by Jango Fett. This helmet is an interesting piece that references an episode in the series (Season 2, Ep. 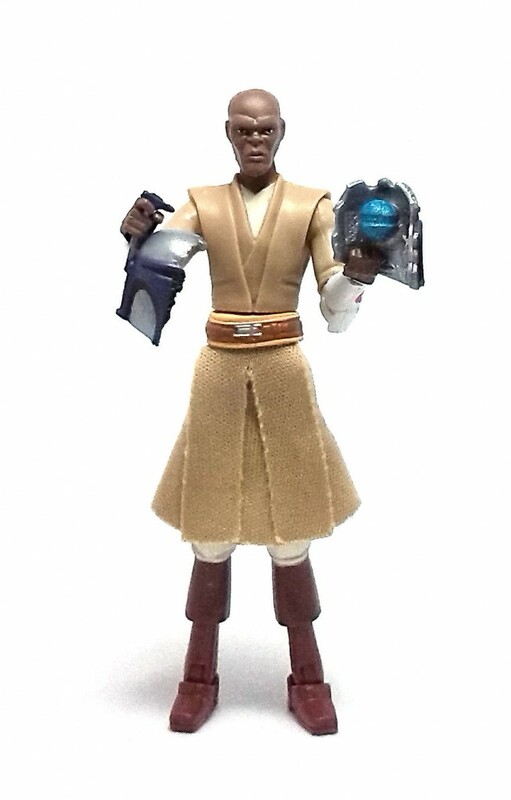 10 “R2 come Home”), where Jango’s son, Boba, uses the helmet as bait to lure the Jedi Master into a trap. For that purpose, the helmet splits in half to reveal a thermal detonator affixed to one of the pieces. 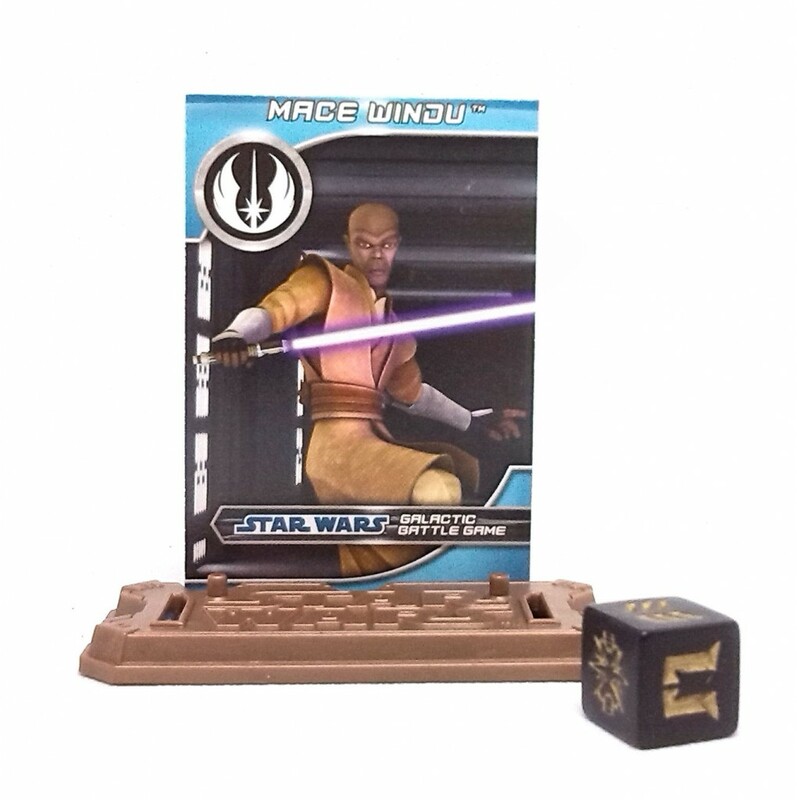 Also included with this figure are a plastic display base, a plastic die and the corresponding Galactic Battle Game stats card. Overall, I find this version of Clone Wars Mace to be the definitive one for this collection.